Law enforcement and service members trust their hands with the Covert M-Pact and its ability to protect in the field. Impact-absorbing Thermoplastic Rubber (TPR) is sonic welded to the glove and delivers flexible protection against common impact injuries and skin abrasions. The uniquely designed Impact Guard frees your index finger for smooth trigger guard entry and mobility. The dual-layer internal fingertip construction reinforces the thumb and index finger for improved abrasion resistance, while the embossed fingertip pattern improves feel and overall dexterity. D3O palm padding absorbs and dissipates high-impact energy through the palm when you’re fully engaged so you can maintain your focus. Thermoplastic Rubber (TPR) knuckle guard and finger guards protect against impact. Dual-layer internal fingertip reinforcement provides added durability. D3O palm padding absorbs and dissipates high-impact energy through the palm. Nylon web loop provides convenient storage. 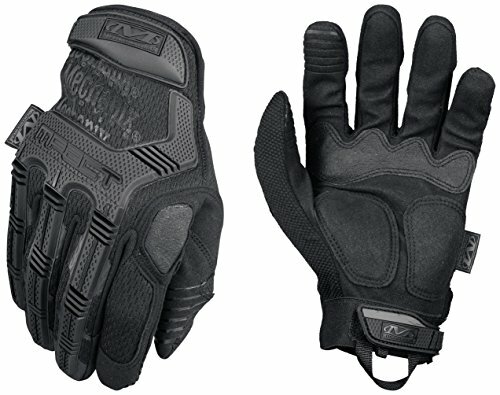 If you have any questions about this product by Mechanix Wear, contact us by completing and submitting the form below. If you are looking for a specif part number, please include it with your message.